Sicilian and Italian: What's the difference? Isn’t Sicilian just a dialect of Italian? It turns out there is actually a good deal of debate over this subject. Some linguists believe that Sicilian may have actually been the first Romance Language, arising from a vulgar form of Latin spoken by Roman military men and everyday people. It is placed in the Italiano meridionale-estremo group of languages along with the Greek influenced Calabrian dialects of southern Italy, and actually has at least eleven regional dialects of its own. The Sicilian language has been shaped by many years of foreign influence, occupation, and conquest. Unlike Italian, which is almost entirely Latin based, Sicilian has elements of Greek, Arabic, French, Catalan, and Spanish. This can be seen in many Sicilian words, like azzizzari [to embellish, adorn] from the Arabic aziz [beautiful], or foddi [angry], which can be traced to the Norman French fol. Grammatically, Sicilian is also very different from Italian. For example, all the pronouns for I, he, she, you, and them are different in Sicilian. Also, take into account that Sicilian does not distinguish between plural endings for verbs, using the same conjugations for masculine and feminine nouns. In Italian, the plural form differs according to gender, and there is much more concern about agreement between nouns and adjoining adjectives. 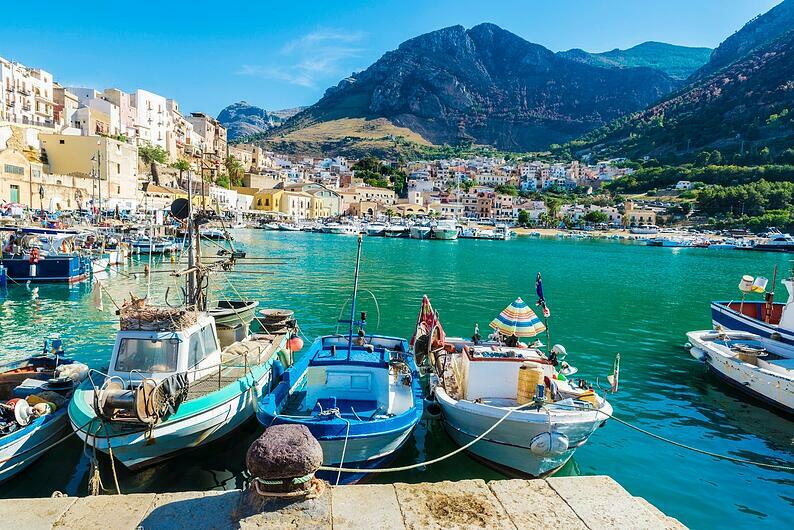 A great deal of the actual Italian influence on Sicilian has been since 1860, when, during the Italian Unification, Sicily became a part of Italy. More and more, there is risk today that the Sicilian language will eventually die out due to the influx of the Italian language into Sicily, becoming the preferred tongue among the natives. Even Sicilian emigrants, like my own family, speak a brand of the language which is different from what actual native Sicilians speak, simply because the language has changed so much even in the last 50 years. So what’s the verdict? Have you met anyone who speaks Sicilian? Do you think that it is a language or a dialect? Check out the videos we've made with two native speakers of both Sicilian and Italian to learn more about the differences (and similarities) between the two.